Sir John Banham is Britain’s most successful business leader, knighted for his services to British business in the 1992 New Year’s Honours List. He has completed a five-year term as Chairman of Johnson Matthey plc (JM), a world leader in the production and export of major environmental technologies. Despite the turbulence in world markets, JM reported record results for the year to end March 2011; the compound growth in earnings per share over the five-year period was over 10%. As at May 31, 2011, JM’s share price was 52% higher than when Sir John took over as Chairman at the end of March 2006. Over the same period, the FTSE 100 Index was substantially unchanged. Sir John Banham is the senior independent director of Invesco Inc. and Cyclacel Pharmaceuticals Inc. He was Chairman of Whitbread plc (2000-2005), Geest plc (2002-2005), Kingfisher plc (1996-2001) and Tarmac plc (1994-2000). These companies all out-performed the FTSE 100 Index significantly in terms of total shareholder return during Sir John’s tenure as Chairman. He was the Chairman of ECI Partners LLP (a leading provider of venture capital for management buyouts) between 1992 and 2005. He was founding Chairman of Westcountry Television until was sold to Carlton Communications (1992-1995). In addition, Sir John chaired an Inquiry into the adequacy of savings patterns in the UK for the Institute of Actuaries in 2001. This identified the extent of the savings gap and the implications for Britain’s pensioners. He chaired the RSA’s Tomorrow’s Investor project, building the consensus for a People’s Pension in Britain. 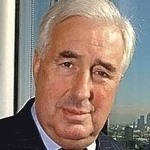 Sir John was Chairman of the Government’s Retail and Consumer Affairs and Foresight Panel from 1998 to 2001. Following that he became Chairman of the Local Government Commission for England for three years which resulted in the creation of 50 new unitary authorities and the survival of country government in England. Sir John was Director-General of the Confederation of British Industry for five years, standing down in 1992. Immediately prior to this appointment, Sir John was the first Controller (Chief Executive) of the Audit Commission when this was established in 1983. Sir John Banham was the founding Chairman of South West Enterprise from 1995 to 1998, when it was replaced by the Government’s new Regional Development Agency for the South West. He also produced a Plan for Growth for Cornwall and the Isles of Scilly, to help the new Local Enterprise Partnership. Sir John’s career started in the Foreign Office in 1962, after gaining a first-class Honours degree in natural sciences at Queens’ College, Cambridge. He then moved on to J Walter Thompson and Reed International. He joined management consultancy McKinsey and Company in 1969 and became the youngest British Director of the firm in 1980. Sir John has had numerous reports published including many for the Audit Commission in the eighties. His book, The Anatomy of Change: Blueprint for a New Era, was published in 1994. He has also been awarded various honorary degrees, including an Honorary Fellowship of Queen’s College, Cambridge, and was appointed as Deputy Lieutenant for Cornwall in 1999. His charity and voluntary roles have included being the Honorary Treasurer of the Cancer Research Campaign , a Managing Trustee of the Nuffield Foundation, a Member of the Council of Management of the PDSA and Patron of St Giles’ Trust for the Homeless. Competing with the best in the world: what will it take to succeed in today’s ‘Zombie’ economy? What should pension fund trustees and investors be doing to secure annual returns on the funds of over 10% for which they are responsible through the ups and downs of the economic cycle in the current febrile conditions of the financial markets? What can be done to prevent the waste of £billions and damage to local landscapes from heavily-subsidized wind and solar farms, when less expensive forms of renewable energy are now coming to market? Is there life beyond cuts? What should a local Plan for Growth look like? Click on the video image to view Sir John Banham interviewed regarding the waste of billions on flawed renewables energy policy in the UK.